Are you set to get the best value for your home? Homeowners want to make sure they get the greatest value when selling their home. But how can you be sure you are receiving the best value for your property? Here are two things to consider to make sure you get the highest price possible. Though it may seem counter intuitive, let’s look at this concept. Most homeowners think pricing their home OVER market value will set them up for negotiation. In actuality, this just dramatically lowers the demand for your house. Buyers now have just as much information as real estate professionals and have that information at their fingertips. The average buyer watches the market and has been studying prices and comparable’s area for anywhere from a few months to a few years before they even step into a home for their first viewing. The market is now transparent. Instantly, accurately, and systematically recorded, in many cases, real estate market values have become VERY PREDICTABLE based on market evidence. Which reaction would you rather create? Price the home to represent a value. Using market evidence of comparable sales inyour area that are recent, nearby and of comparable size and type. Doing so will generate urgency, show your sincerity and that you have studied the market and done your homework. Price your home to generate bore than one offer. Instead of trying to plan for the negotiation with one buyer, price it so that demand for the home is maximized. By doing this, you will not be attempting to justify and support a price. Instead of attempting to coerce just one buyer to a higher price. You will have multiple buyers fighting over your house. This may also seem counter-intuitive. You may think you can net more money if you don’t have to pay a real estate commission. With this being said, studies have shown that homes typically sell for notably more money when handled by a real estate professional. Price your house at or slightly below the current market value and hire a professional in order to guarantee that you get the best price for your property. 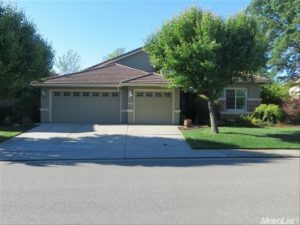 Selling your home for TOP, TOP DOLLAR in the Sacramento area is simple, but it’s not easy. This entry was posted on Tuesday, June 13th, 2017 at 11:57 am	and is filed under Posts for Pages, Sell for Top Dollar, Selling your home, Selling Your Home. You can follow any responses to this entry through the RSS 2.0 feed. Both comments and pings are currently closed.